BERLIN — Dozens of European countries are backing a plan to increase the use of hydrogen as an alternative to fossil fuels to cut the continent's carbon emissions. The idea of a "hydrogen economy," where fuels that release greenhouse gases are replaced with hydrogen, has been around for decades. Yet uptake on the concept has been slow so far, compared with some other technologies. 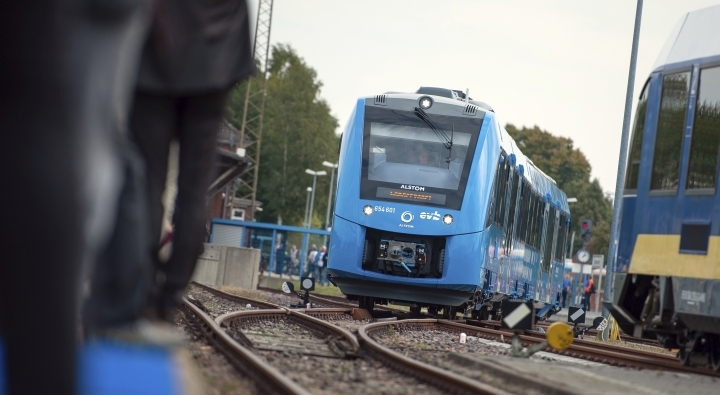 On Monday the world's first commuter train service using a prototype hydrogen-powered train began in northern Germany. The European Union's top climate and energy official said hydrogen could help the bloc meet its obligations to cut carbon emissions under the 2015 Paris accord. Miguel Arias Canete told reporters it could also contribute to the continent's energy security by reducing imports of natural gas, much of which currently comes from Russia and countries outside of Europe.